Yageo currently ranks as the world No.1 in chip-resistors, No. 3 in MLCCs and No. 4 in ferrite products, with strong global presence – 21 sales offices, 9 production sites, 8 JIT logistic hubs and 2 R&D centers worldwide. 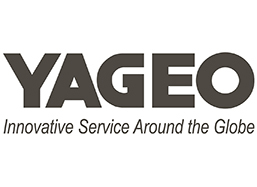 Yageo’s broad product offerings are targeting at key vertical markets, including applications for mobile, tablet PC, industrial/power, alternative energy, medical and automotive. We serve diversified leading global customers, such as EMS, ODM, OEM and distributors.